Featuring a modern chrome color, this Cal-Mil 308-6-49 Classic 6" octagonal drip tray is perfect for protecting your counter and tabletops from the drips of cups, mugs, pitchers, or beverage dispenser spigots! This octagonal drip tray is great for self-serve use at your next buffet or catered event, as it will provide your guests with a clean and appealing dining experience. 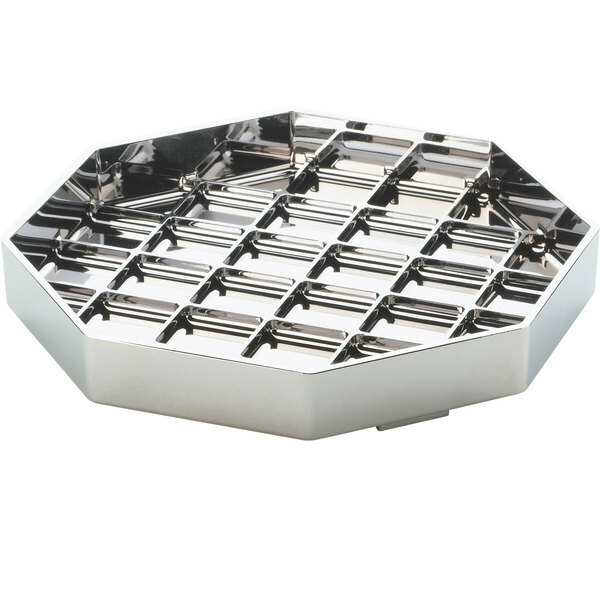 This drip tray features a lattice base pattern in order to keep your serving container securely in place. It's also very easy to clean out when it fills with liquid.